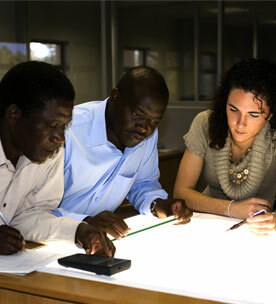 Bergstan’s diverse portfolio of projects in many countries throughout Africa and our experience in taking projects from conceptualisation to completion provides our clients with a team capable managing all aspects of projects. Our specialist project managers embrace every aspect of project delivery. We drive the whole process, starting at the initial project brief, to analysing and advising on risk and associated issues, to helping appoint the project team, briefing them, issuing procedures and managing development of programmes and projects. All of this work is done through close collaboration and effective communication with our clients ensuring that they are involved through the whole lifecycle of the project and that their requirements are met throughout the process.